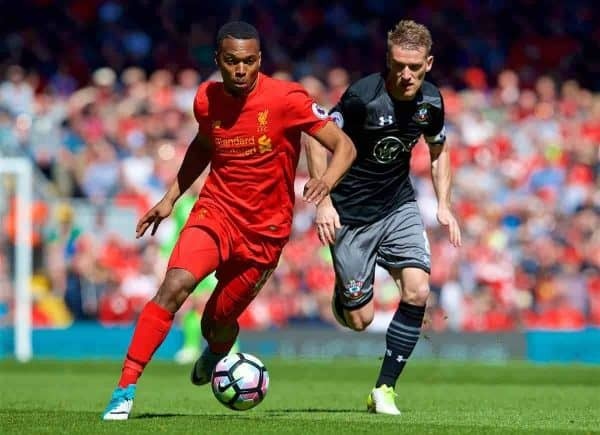 Despite failing to find the back of the net, Daniel Sturridge was in impressive form coming off the bench in Liverpool’s 0-0 draw with Southampton. Sturridge was omitted from Jurgen Klopp‘s starting lineup, with the German opting to field an unchanged side for the fourth consecutive game. The striker has recently recovered from a troubling hip injury, but returns to boost the Reds as they push for a top-four finish in the Premier League. And with Liverpool struggling to make a breakthrough against a stubborn Southampton side on Sunday, Klopp turned to his No. 15 in an attempt to change the game. Sturridge came on alongside Adam Lallana, replacing Divock Origi and Lucas Leiva, with the Reds lifted by two of their heavy-hitters. It was Sturridge in particular who shone, with one key statistic highlighting his enduring value to the cause on Merseyside. 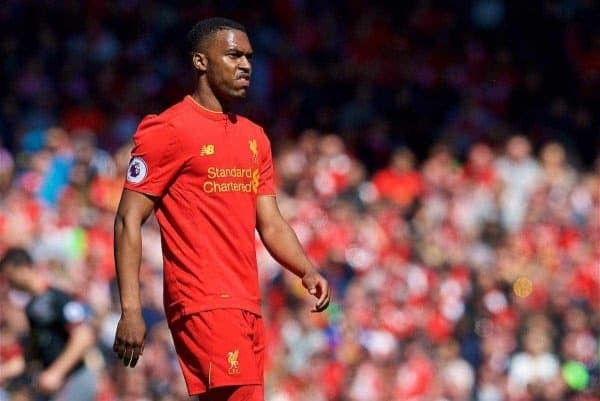 Though he played just 22 minutes at Anfield, Sturridge created more chances (three) than any other player. This was more than Klopp’s starting forwards, Origi, Philippe Coutinho and Roberto Firmino, combined (two), and more than the entire Southampton side (two). He also completed 100 percent of his attempted passes, as well as firing two shots on goal, in a vibrant cameo. The 27-year-old is widely expected to leave the club at the end of the season, having made just five starts in the Premier League in 2016/17. He is seemingly behind both Firmino and Origi in Klopp’s pecking order up front, and has been touted with a move to Paris Saint-Germain or West Ham in the summer. But Sunday showed a side to Sturridge that has been so fleeting this term, with the striker performing with a vibrancy that has eluded his game of late, clearly eager to impress. Sturridge has often been questioned for his perceived lack of commitment, but he was arguably Liverpool’s best player against the Saints, which should put him in the frame for a starting berth. The Reds have just two games left to play this season, away to West Ham and at home to Middlesbrough, with six points required to ensure a top-four finish. With Origi off the boil and Firmino seemingly needed out wide, Sturridge’s bright performance on Sunday saw him make a claim to start as Liverpool’s No. 9. And while it may have come too late, it did show elements that Klopp would be remiss letting go without finding a suitable replacement in the summer.